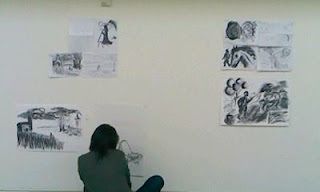 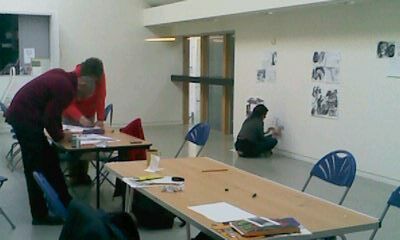 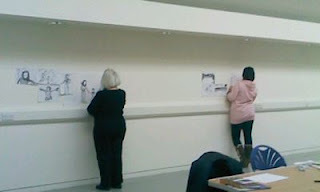 I gave a drawing workshop at North Edinburgh Arts Centre. 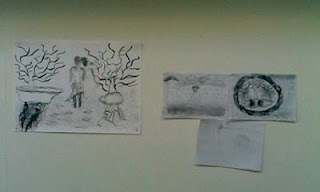 My aim was to encourage spontaneous drawing from the imagination and have fun. 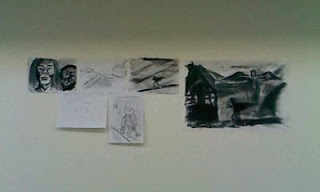 The results were fantastic...here are some photos.